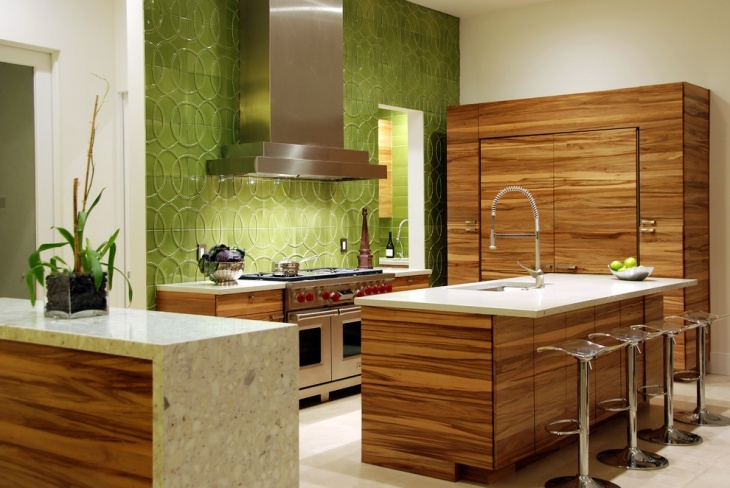 When you think of kitchen wall décor, the wall panels in the kitchen need to be customized. 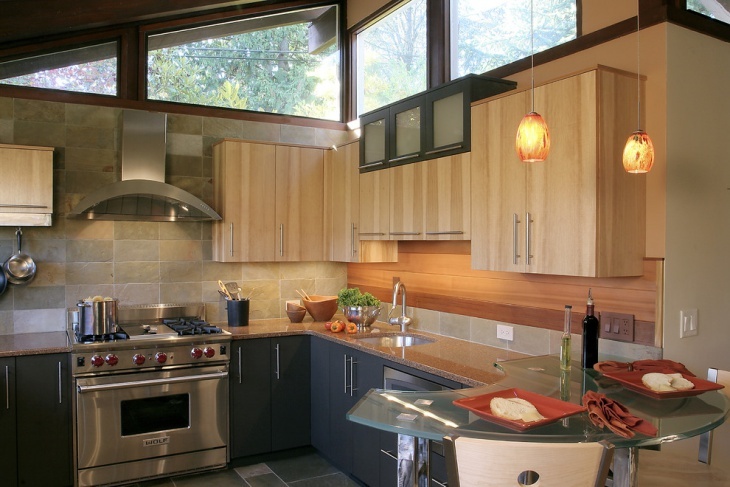 They complement the architectural value of the kitchen as well as provides enough space for utility. 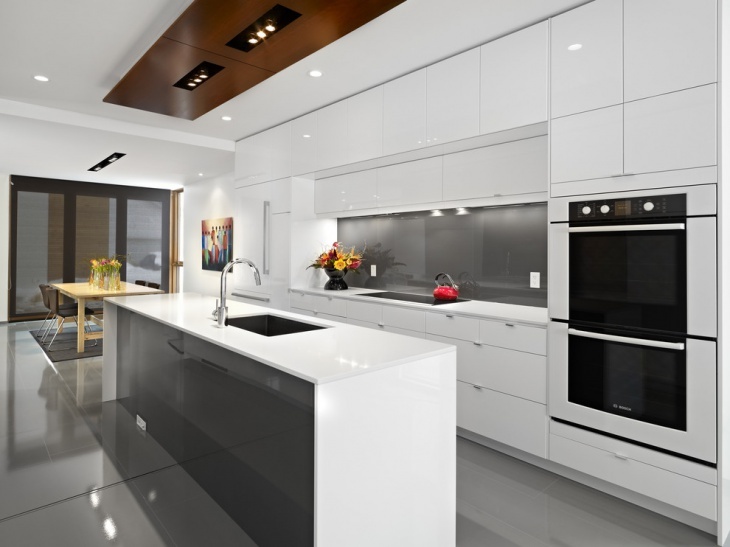 In modern homes, there are different designs in the kitchen wall panels, and people are experimenting with new designs like glass kitchen wall panels, stainless steel glass panels and so on, besides the traditional wooden ones. Well, here you will find ten elegant kitchen wall panel designs that will live up to your taste. Patio kitchens are quite common in urban houses, and when you have a wooden floor in such a kitchen, you can simply opt for a glass wall panel. 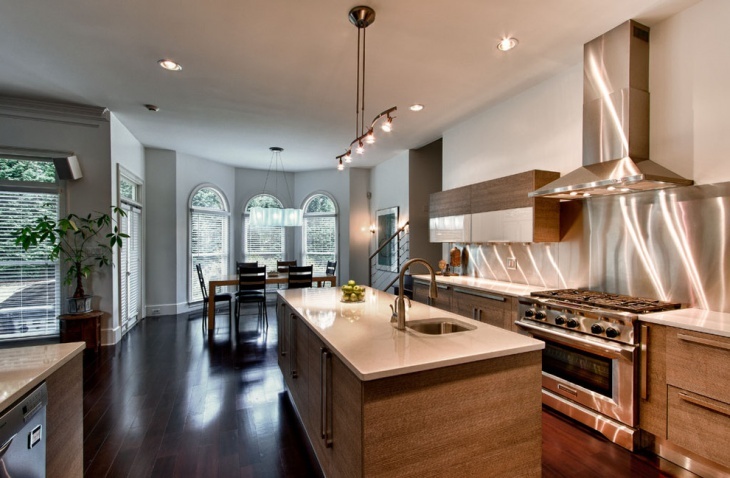 It is an open-plan kitchen with white ceiling and small pendant lights on the top make the room bright and beautiful. 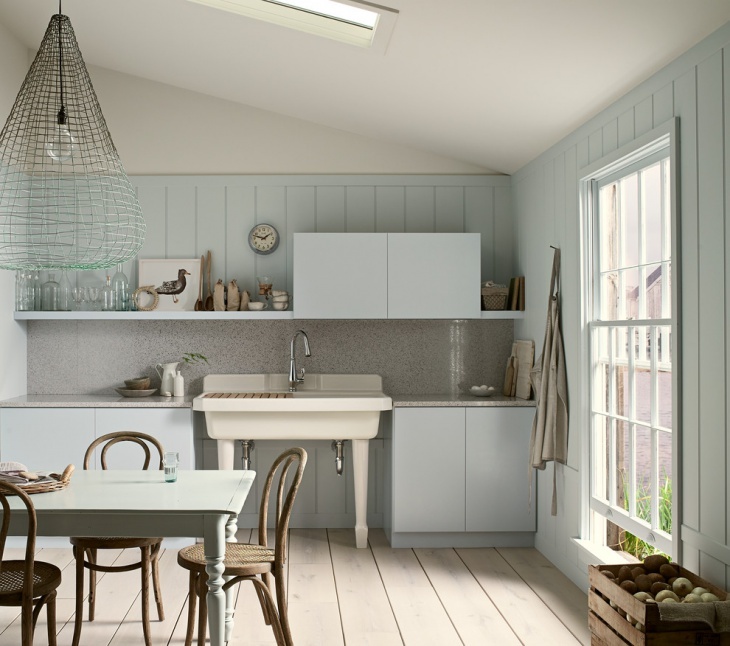 A light blue wall colour will make the glass panel elegant. Commercial kitchens need to bear an attractive look. You can add a rustic touch to the walls and ceiling, and with all these elements, well-polished grey metal wall panels are perfect. You can use the same colour for the kitchen island. 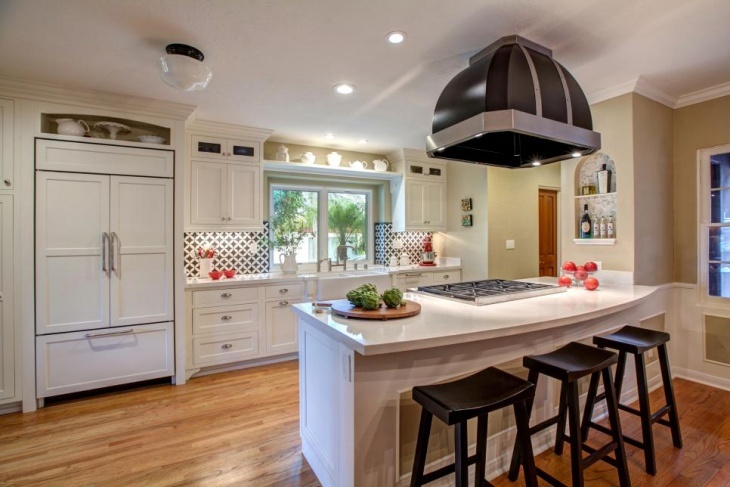 Fix small pendant lights above the island to get a gorgeous look. 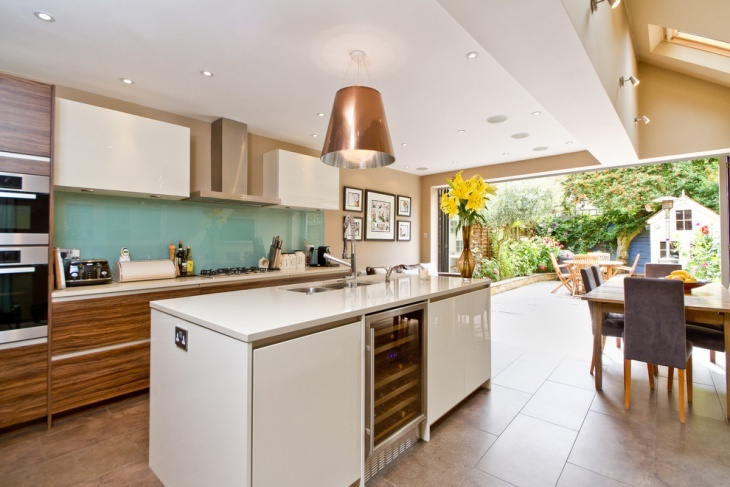 Glass wall panels bring a sophisticated look to the kitchens. When you have marble countertops and glass backsplash in the kitchen, a glass cabinet looks polished and splendid. You can use stone wallpaper in the room to get a perfect blend of styles. 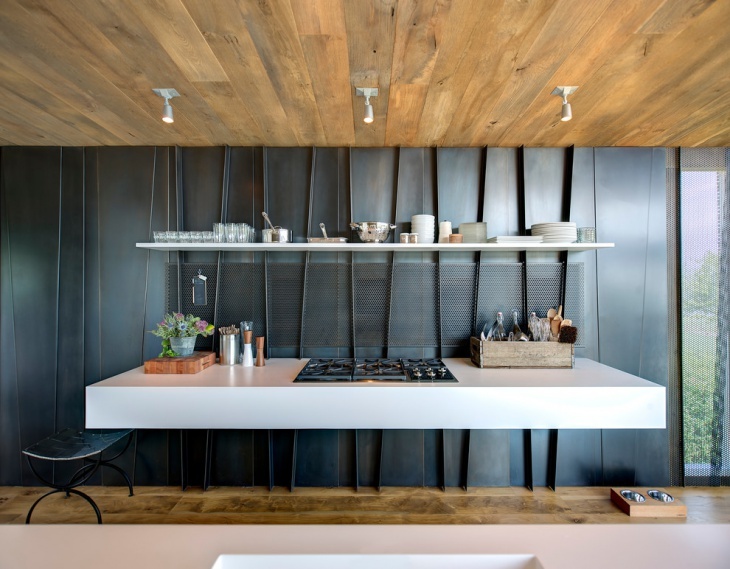 Contemporary kitchens look elegant when you have a steel kitchen wall panel. These go well with spacious rooms, and you need to get a brown for the perfect match in the kitchen. 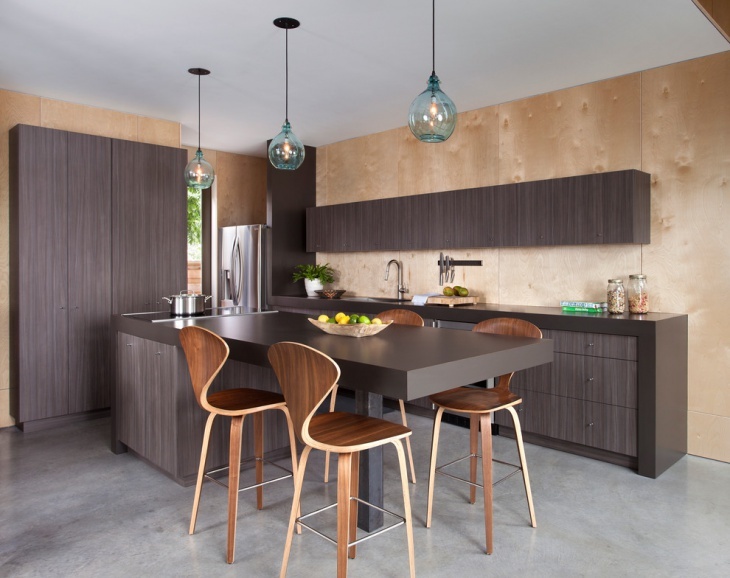 The steel wall panel on the wall enjoy a great compatibility with the light brown cabinets and kitchen islands. Textured walls yield some of the best kitchen looks in well-lit outdoor kitchens. 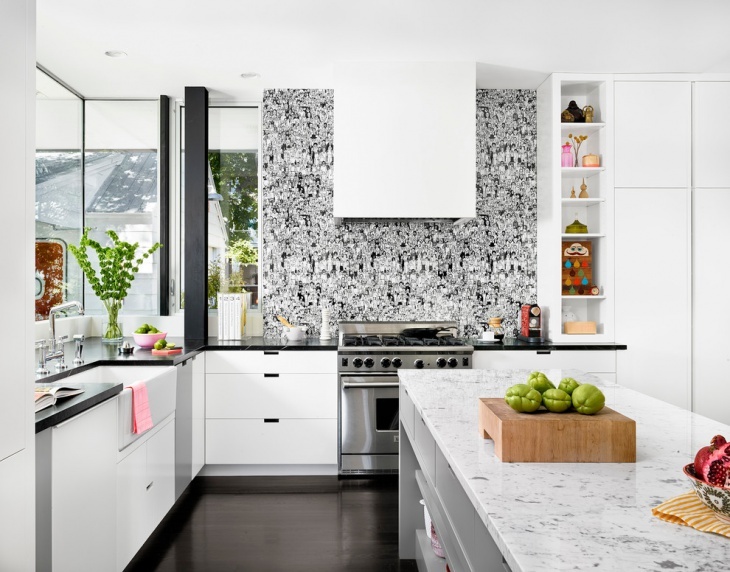 When you look out for Kitchen Wall Décor themes, a yellow background looks vibrant, and the black spots in the wall complement the black border of the kitchen island and countertop. Use the same spotted design for the brown floor. 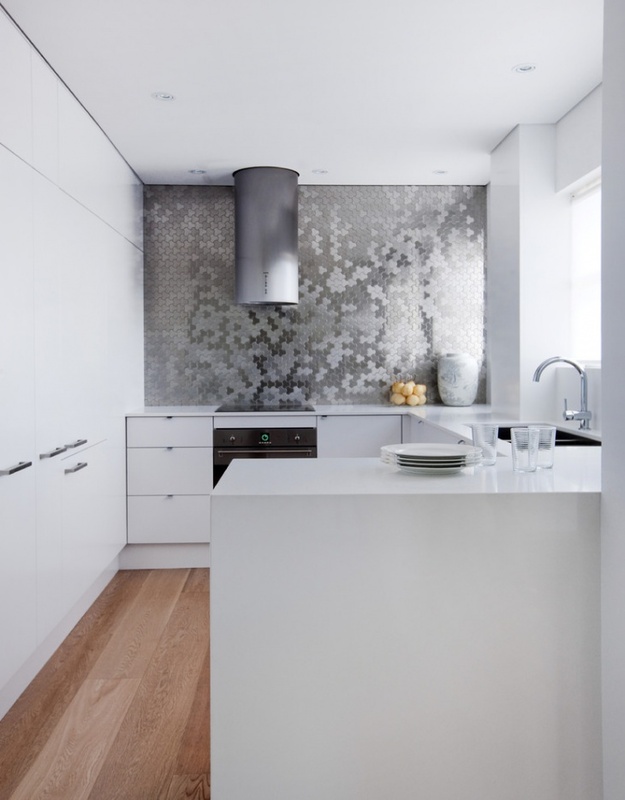 Metal wall panels are inherent with weightage and elegance, and you can further upgrade the looks of your kitchen with a white paint all over. The brown floor looks contrasting with this setting. The off-white kitchen cabinets look great in the bright interior. Trends of housing are changing, and when you have a white interior, you can incorporate the plastic wall panels to get a refined look. The panel is ideal for a cabin kitchen with a beige faucet. With a porcelain slab and wall-mounted sink, you will get a perfect combination in the kitchen. 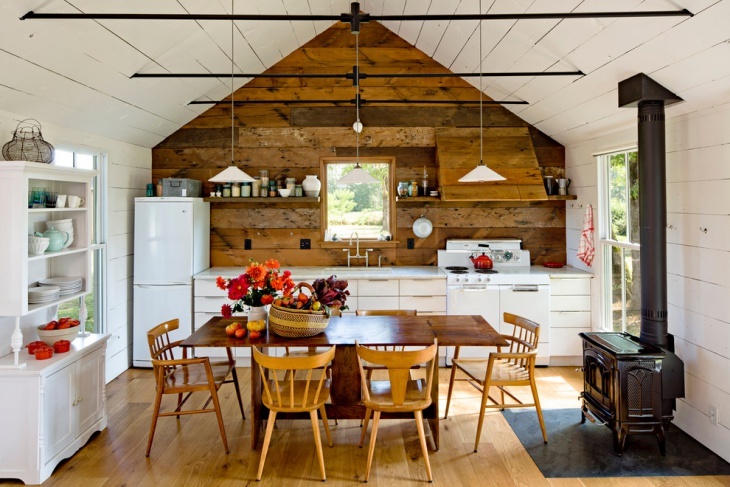 This style of wood wall panels is common in cottages. 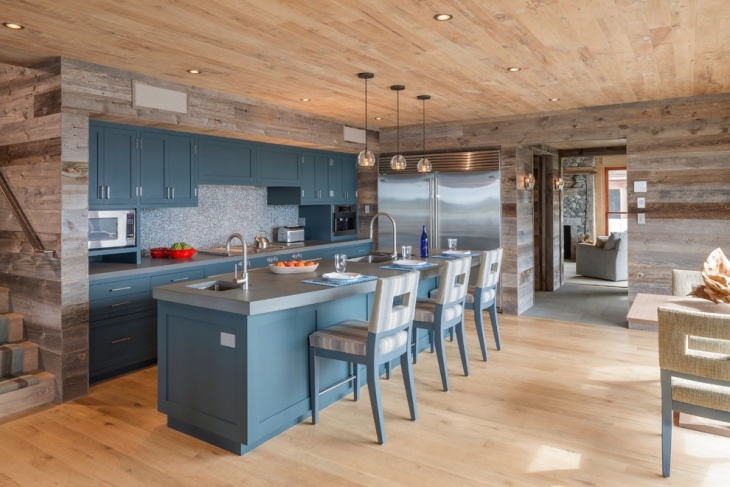 Wood has its own elegance, and when you use the same shade of brown for wooden floors and furniture, you get the complete charm of the little kitchen. 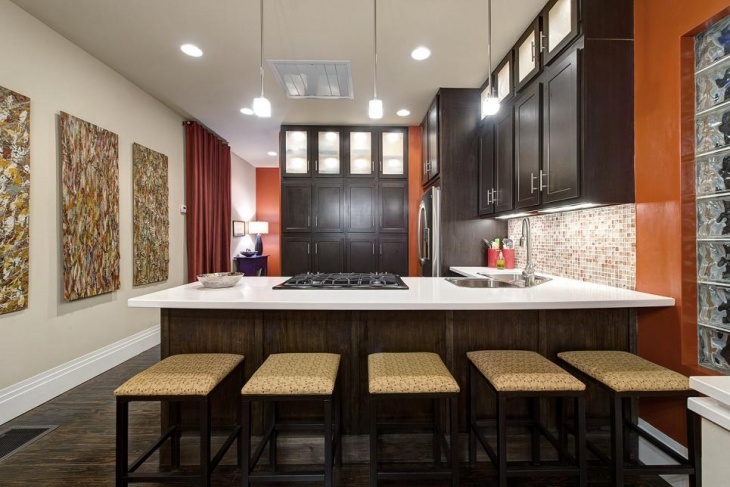 Buy whit appliances for this kitchen to complement the beauty of the walls and ceiling. 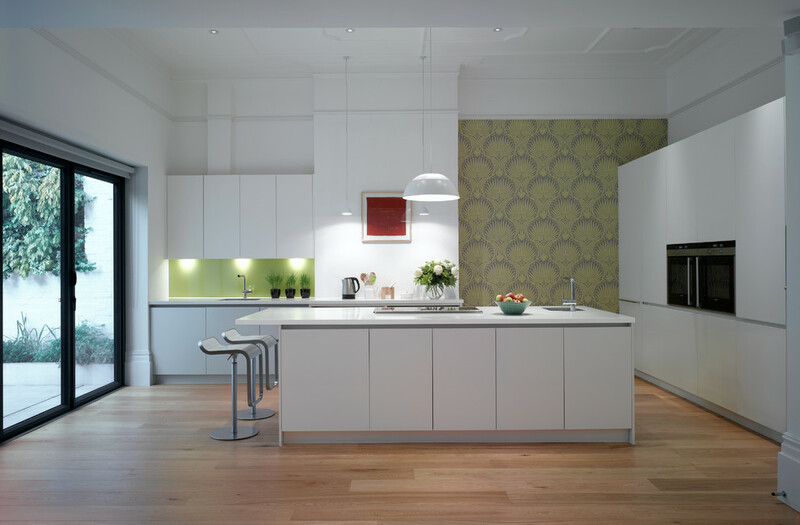 Traditional eat-in kitchens look beautiful when the spacious room has sleek wall panels. The room has a perfect look with a white kitchen island, walls and ceiling. A brown wood-coloured floor makes the beauty pronounced. The black door frames around the glass doors help to strike the right contrast. In modern homes, people look out for a beautiful mix of styles. 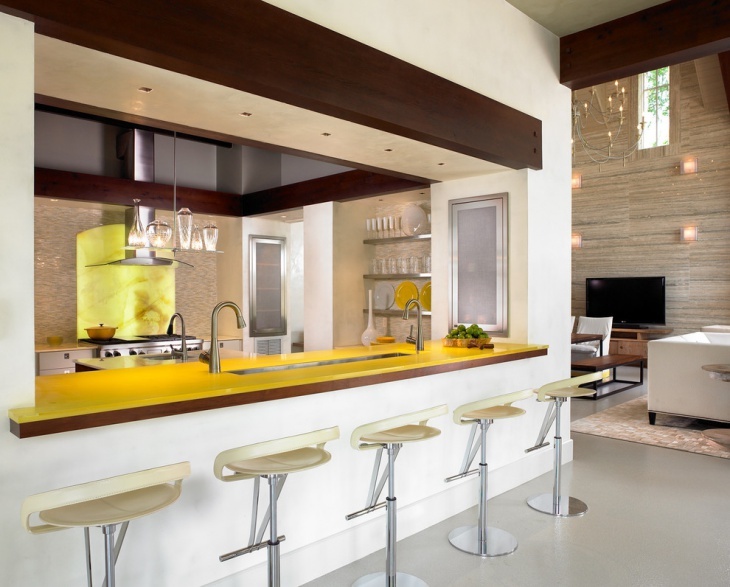 You can opt for a bright yellow countertop with these wall panels. Opt for the right contrast of light and dark shades of brown for the walls. 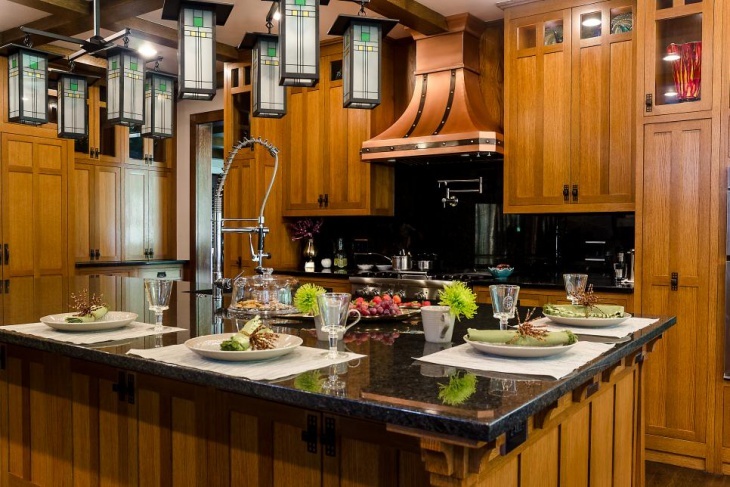 The eat-in kitchen looks brilliant with small lights above the countertop. When you choose the design of kitchen wall panels, make sure that they complement the looks of other internal architectural elements. These include floor color, ceiling type, etc. 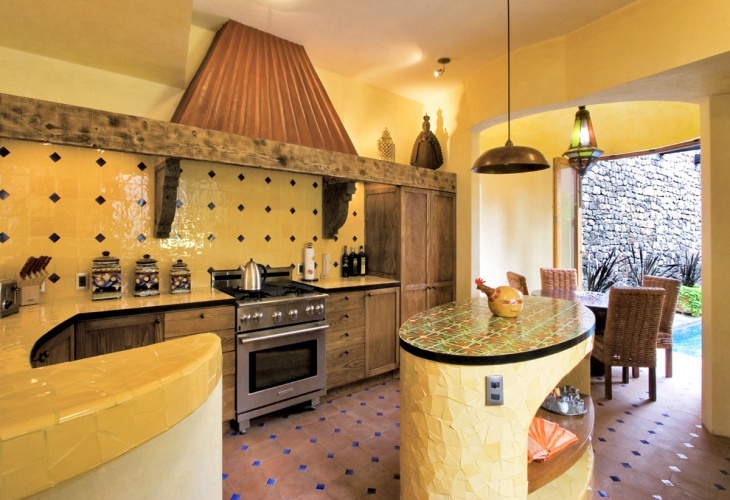 A Stone Walled Kitchen looks perfect with innovative panel ideas. You can also incorporate the Glass Wall Panel for a sophisticated look. Feel free to share your innovative kitchen wall panel ideas with us.